Since the end of April this year, visitors to the Valley of the Kings in Egypt have been able to see two versions – the original and a facsimile – of the burial chamber of Tutankhamun. The facsimile, made by Factum Arte and funded by its sister organisation Factum Foundation, arrived in Egypt in November 2012, 90 years to the month after Howard Carter unsealed the 3,000-year-old tomb; in spring the copy moved to Luxor, to a site next to Carter’s house, now a museum, which sits at the entrance to the Valley. Factum Arte, which is based in Madrid and Bologna, was founded by the British artist Adam Lowe in 2001. After success as a painter, Lowe became interested in the technical challenges of conservation and fabrication and the company he set up with Spanish artist Manuel Franquelo now makes work for many well-known artists, including Anish Kapoor and Marc Quinn. As the company’s profile grew, so did Lowe’s interest in conservation. He set up the Foundation in 2009 and, according to Macmillan-Scott, the structure of the business is simple: ‘Adam is an extraordinarily clever human being who finds ways of doing things for many artists, and the profits that are made by Factum Arte support the Foundation.’ While Factum Arte can be working on about 70 to 100 projects at a time, the Foundation, says Macmillan-Scott, ‘normally has about 10 projects on the run’ and works only with ‘advanced technology in the conservation of our heritage’. is the Lucida 3D Scanner, which was developed by Manuel Franquelo, especially for Factum’s work in Egypt. 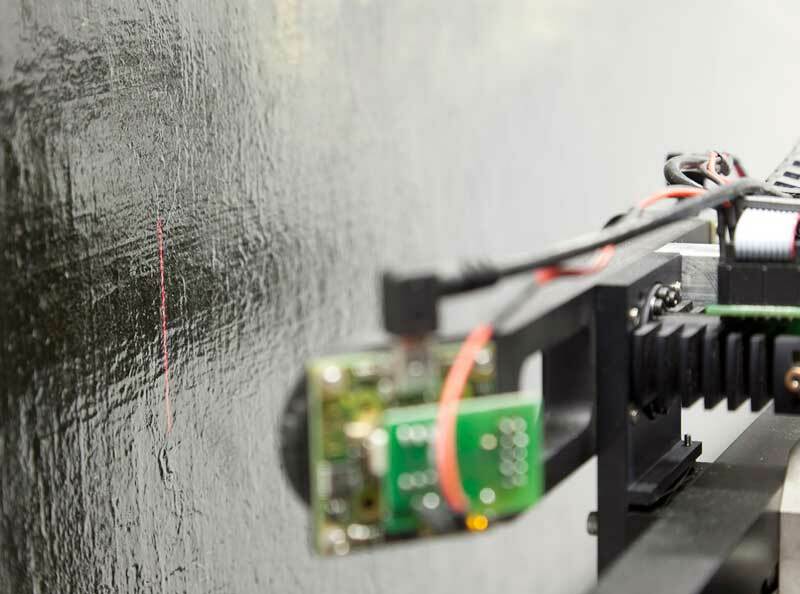 The scanner can capture the relief of surfaces, light and dark, and a range of finishes. Crucially, it records the data as raw video with its own recording software – so that the information doesn’t have to be exported in a lower resolution (which is what all other scanners currently do). The ability to record surfaces as closely as this also allows for a new examination of fragile paintings and documents by scholars. Last year Factum scanned the Hereford Mappa Mundi, which is kept in a sealed glass case that is only opened once every two years. In 2007 it installed a copy of Veronese’s Wedding at Cana (1563), now owned by the Louvre, in its original home of San Giorgio di Maggiore in Venice. Nobody knows who did them, but why should that stop us appreciating these works?